Looks like your heist wasn't so perfect after all. 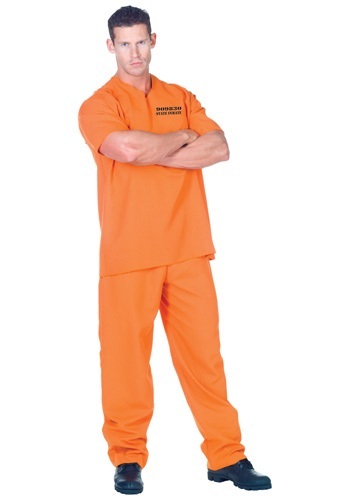 This public offender costumes includes a XXL sized orange shirt with short sleeves. The back of the shirt has the words "Inmate Dept. 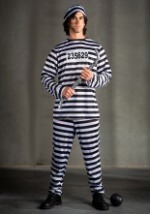 of Corrections" printed in black on the top, middle part of the shirt and the front of the shirt has "909830 State Inmate" printed in black on the right chest. The pants that are included are made of the same orange polyester as the short sleeved shirt is. 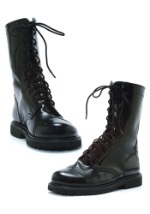 These pants feature an elastic band around the waste to allow for easy and comfortable wear. This costume will intimidate everyone who doesn't know your just a big softy inside!